1) In roll call style, please tell us about the people involved with this book and what they did on it. This brand of book has a large team behind it because normally there’s a lot of work that needs to be done. This includes tons of research, verifying facts, plotting locations, creating maps, miscellaneous designs, and illustrations, plus much, much, more. Our team for ‘WWOE’ included two senior editors: Fleur Star and Chris Hawkes; plus a number of other editors, researchers, and fact-checkers: Suhel Ahmed, Scarlett O’Hara, Vicky Richards, Jess Cawthra, Ann Baggaley, Anna Fischel, Anna Limerick, and Georgina Palffrey. Now where the overall design is concerned there’s the senior art editor: Rachael Grady; as well as a great team of designers, illustrators, and picture researchers: David Ball, Chrissy Barnard, Sheila Collins, Kit Lane, Sadie Thomas, Stuart Jackson-Carter, Adam Benton, Simon Mumford (also our cartographer), Sumita Khatwani, Rituraj Singh, and Taiyaba Khatoon. 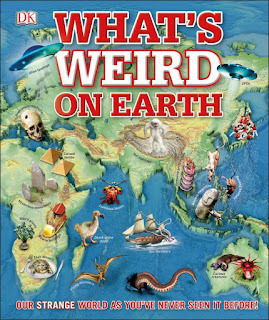 2) What inspired the creation of, ‘What’s Weird On Earth’? This is the fourth in a series of books which have been very successful in many territories across the world. The series takes the approach of using maps to present reference information: Not just showing where things are, but explaining their significance. For example, the second book in the series, ‘What Happened When in the World’, (or ‘When on Earth’, as it’s called in the US) visually maps history and shows where empires spread, where battle-lines were drawn, and where people were able to explore. It’s far from your usual history book yet contains all the salient points. 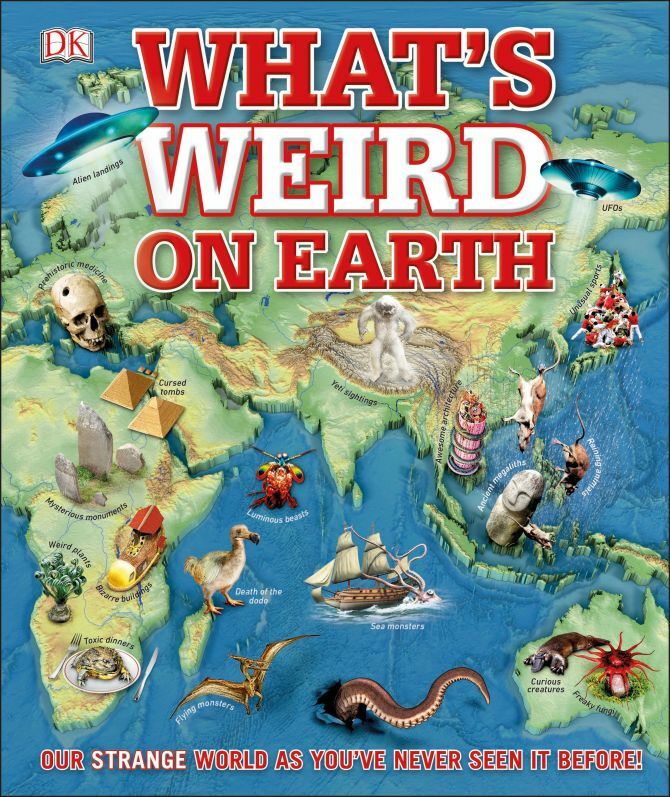 So, moving forward to, ‘What’s Weird on Earth’, we knew the map approach was a successful one, but we had to find topics that suited the vehicle. 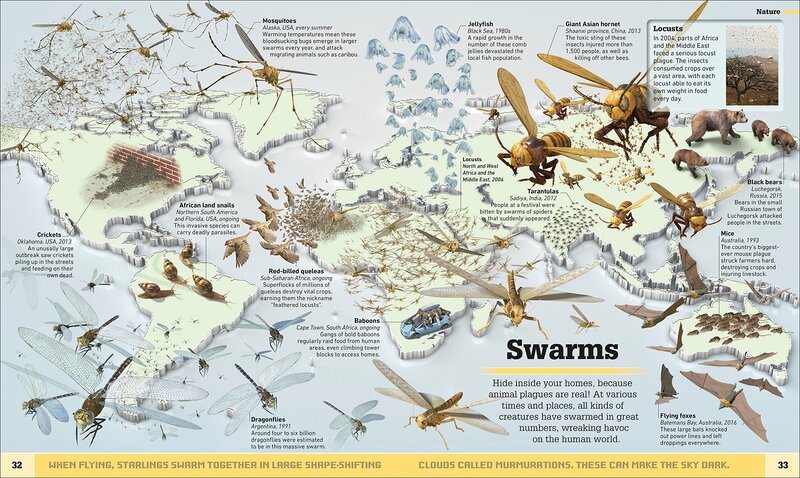 It wasn’t a case of, ‘just plonk it on a map’, as the content had to justify being mapped. 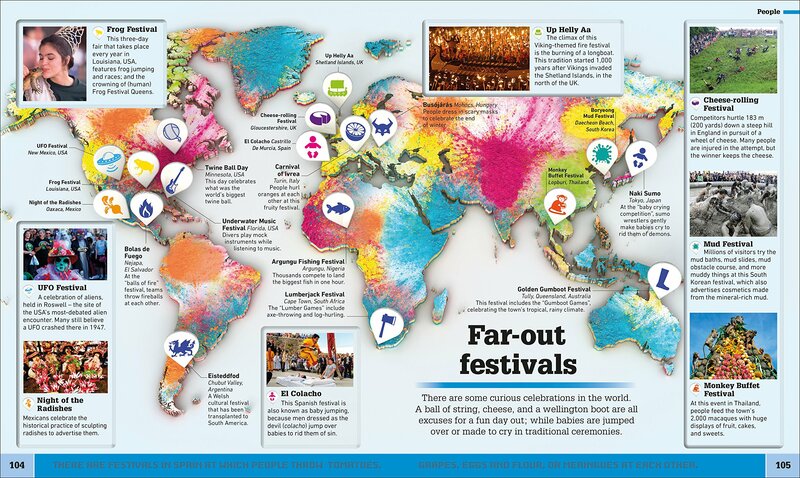 So weird places and buildings were obvious, plus strange sightings (of aliens, yetis, and that kind of thing); but then we also looked at cultural oddities, such as folk festivals, unusual sports, and even poisonous foods found around the world. Having said that, though, there is no ‘point and stare’ in this book, because we’re not laughing at people, just showing readers that there are some really unusual things in the world! I believe the hook of focussing on Earth’s stranger phenomena came from our publisher, who liked the sound of the title! But there was easily enough “weird stuff” out there to justify the contents. 4) What song would you say best represents this piece and why? 'Bohemian Rhapsody' by Queen, because it’s a song made up of many parts, but comes together as a cohesive whole. We have chapters on nature, people, places, the supernatural, and history, plus fun facts, and they’re all united by weirdness. 5) If you could get a celebrity – either living or dead – to promote your wares, who would you choose, and why would you want to choose this particular person? David Attenborough would be my choice because Earth is his natural habitat, ha! Seriously though, how amazing would it be to have him promote this book! From the numerous interviews he does on TV you can tell that he has a great sense of humor. So all in all, it would be a perfect match. 6) During your time in this field, what is the one thing that has kept you in good stead? That would have to be having a good team of people behind you and lots and lots of biscuits! Our illustrators were also magnificent, and we couldn’t have made the book without our in-house cartographer, and all-round graphics whizz, Simon. 7) If ‘WWOE’ had a motto, what would it be? 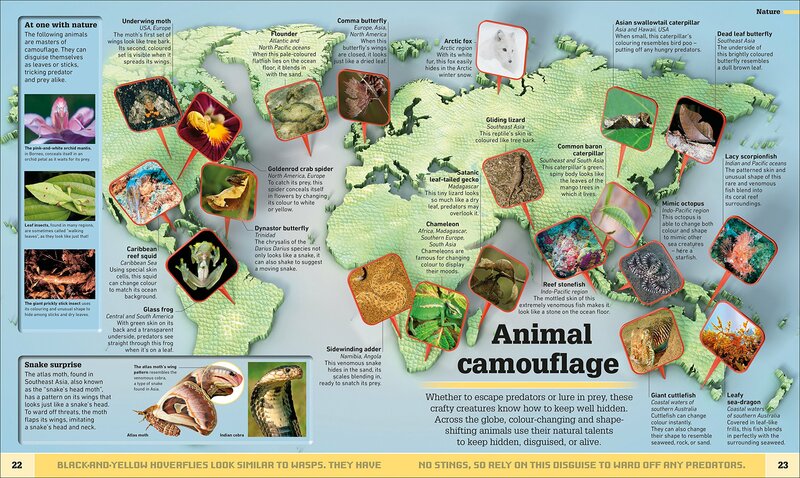 “Weird stuff on maps”. Now for any more information please don't hesitate to subscribe to DK's facebook and twitter pages. Better yet, why not pick up a copy via Amazon or from their online store.